About | Teaneck Junior Soccer League, Inc.
Teaneck Junior Soccer League (TJSL) is a nonprofit, all-volunteer organization founded in 1986 to promote the sport of soccer in Teaneck. Since its inception, more than 20,000 children ages 4 to 18 have participated in the league with over 900 children playing each year. 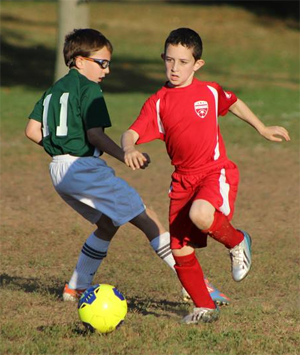 TJSL's mission is to provide Teaneck residents with the opportunity to learn, play and enjoy the game of soccer. For general questions, use the email address below for the fastest response. If you need to speak to someone, send an email with your name, phone number, the best time to reach you, and tell us what you would like to discuss so that an appropriate person can call you back. Last-minute schedule or field changes due to weather are posted on our web site, our Facebook page and Twitter account.